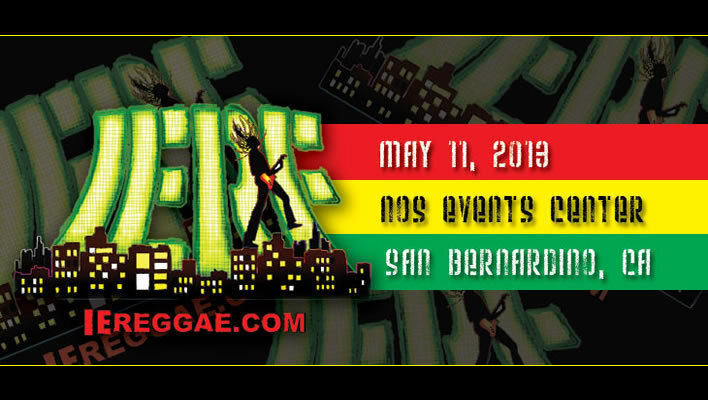 Presented by Rock Honda and produced by Garrett Management Group in collaboration with Jaggae productions, the Inland Empire Reggae Festival (IERF), is returning to the National Orange Show Events Center Lagoon for its third year. The festival’s lineup includes bassist Fully Fullwood, world-renown cultural DJs Brigadier Jerry and Ranking Joe, Hawaii Native Marty Dread, special guest reggae radio disk jockey Junor Francis, and other announced artists and bands, plus a few surprises. The mix of reggae styles will include the music of bassist George “Fully” Fullwood, who has been instrumental in shaping the sounds of Jamaican music. One of “the greats” of the music industry, Fully is one of the most popular and well-known bass players in the world and has worked and recorded with numerous major artists out of Jamaica. Also in the mix are the DJs Brigadier Jerry and Ranking Joe, and artist Marty Dred. Since the 70’s, Brigadier Jerry has maintained high standards as a cultural DJ promoting conscious lyrics and spiritual upliftment. Ranking Joe rose to prominence in the 1970s and had continuing success in the 1980s. Hawaii native Marty Dred has played internationally in Brazil, Tahiti, Canada, Thailand, Jamaica, Guam, Saipan, China, Barbados, Russia, and the United States, including a performance at the White House. The family-friendly festival will feature an exclusive 12 and under children’s area, called “Festival Follies”. Hosted by the owner of Creative Corner Place Childcare, the Festival Follies area will allow children to participate in contests with prizes, create fun and festive crafts, play games, and more. Children 12 and under are admitted to the festival FREE when accompanied by an adult ticketholder. A portion of this year’s ticket sales will support Reggae for a Reason, an organization working to end youth homelessness in the local community and beyond. Tickets can be purchased online at www.iereggae.com or by calling 1-888-718-4253.